*Both of these acclaimed leaders will also be featured in the Get Golden Banquet at the 2015 Parliament. Who better to help lead the interfaith world in reclaiming the heart of our humanity than two of the most acclaimed teachers of compassion? 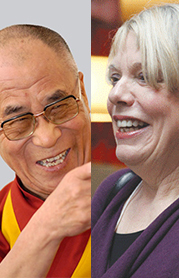 Returning to the Parliament of the World's Religions in 2015, His Holiness Tenzin Gyatso the XIV Dalai Lama and Dr. Karen Armstrong will cross-pollinate the religious, scientific, and civic institutions we represent with the seeds of compassion and kindness. Still haven't registered for the 2015 Parliament? Super Saver Discounts end November 30th. Register now - Students save 70%! We are planning a fabulous dinner to celebrate practitioners of the Golden Rule! Join us as we honor some of our champions who exemplify compassionate living, and are teaching the world to do the same. The 2015 Parliament Get Golden dinner will benefit the future of the interfaith movement. Reserve your seat when you register! 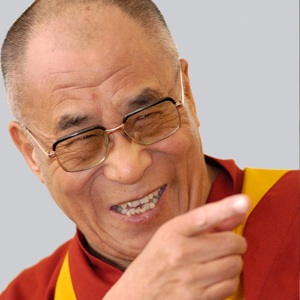 His Holiness the Dalai Lama is the head of state and spiritual leader of the Tibetan people. This Nobel Prize winning peace activist is known for his unswerving commitment to love, compassion and non-violence, and has moved the world with his spiritual teachings on "the universal religion of kindness." Since 1967, His Holiness has traveled and met with adherents, leaders and scholars in over forty-five countries and has authored or co-authored more than sixty books. 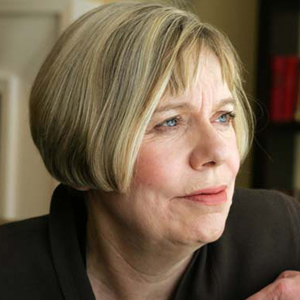 Dr. Karen Armstrong is a religious thinker who has written more than 20 books on faith and the major religions, studying how our faiths shaped world history and drive current events. Her new book is entitled Fields of Blood: Religions and the History of Violence. Armstrong's 2008 TED Prize wish asked us to help her assemble the Charter for Compassion, a document around which all of us can work together for peace. It has since inspired the Charter for Compassion movement sprouting in hundreds of cities around the world.